At the moment there are opportunities for students to be involved in orang-utan research at two locations in Sumatra (Indonesia). The first is at the recently started Sikundur site and the second is at the Batang Toru research site. 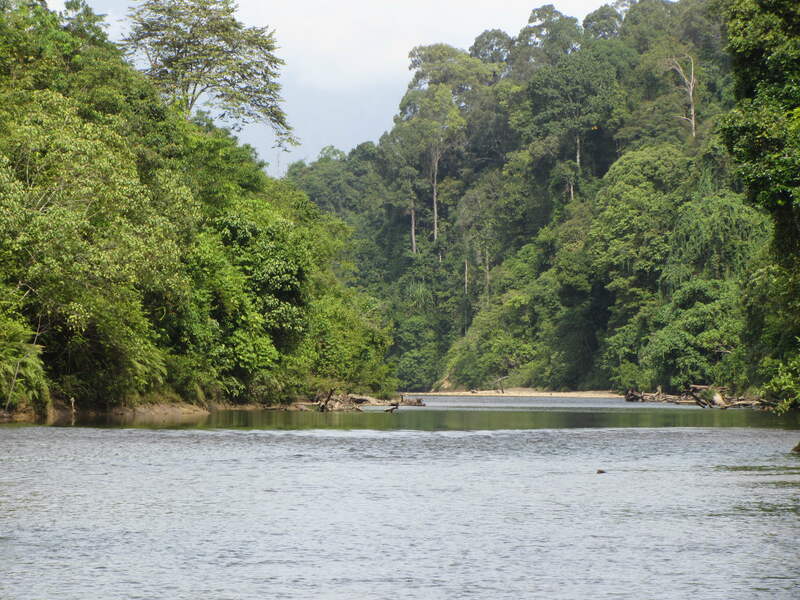 The Sikundur site is located in the eastern lowland forest of the Leuser Ecosystem. The site was opened in January of 2013 and is in a forest area that has been selectively logged during the seventies and eighties. Since then the forest has recovered well and it is home of enigmatic species such as the Sumatran tiger and the Sumatran elephant and several primate species such as white-handed gibbons, siamangs, long-tailed macaques, Thomas’ leaf monkeys, and of course orangutans. The research at the site is done in collaboration with the Sumatran Orangutan Conservation Program who manage the fieldsite. 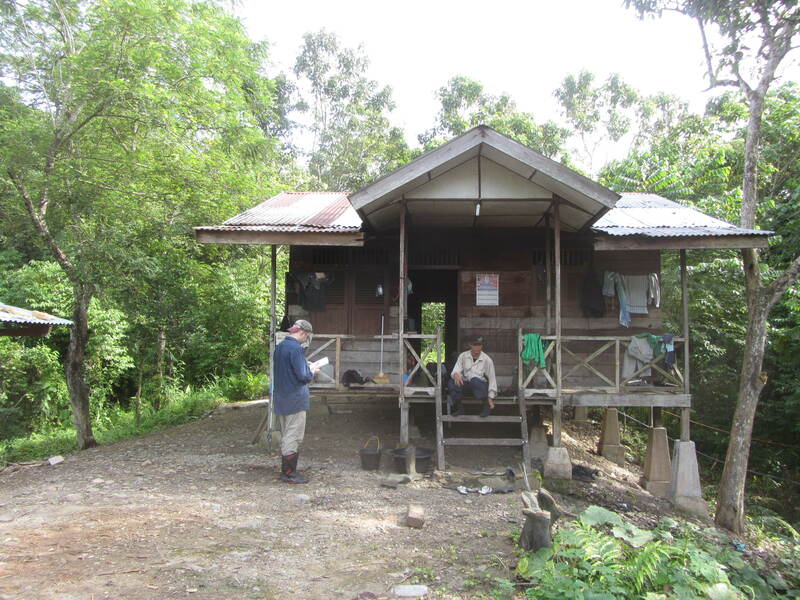 The fieldsite consists of a basic building along a beautiful river (the Besitang river) and is a few hours away from the city of Medan. Although research focuses on orangutans it is possible to study other primates or animals as well. 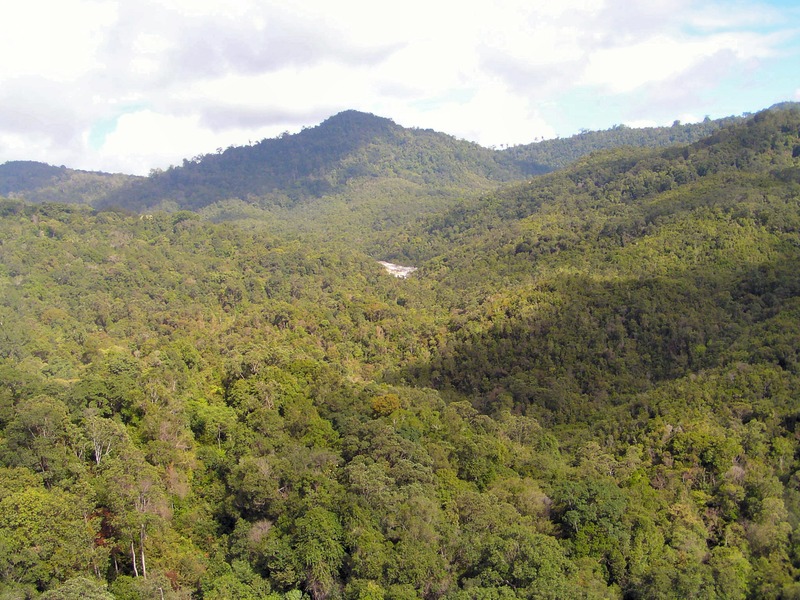 The study area is located in the largest dryland lowland forest stretch that is left in the Leuser Ecosystem and thus of high importance for the conservation of biodiversity in the region. The other research project focuses on the Batang Toru area in Sumatra. 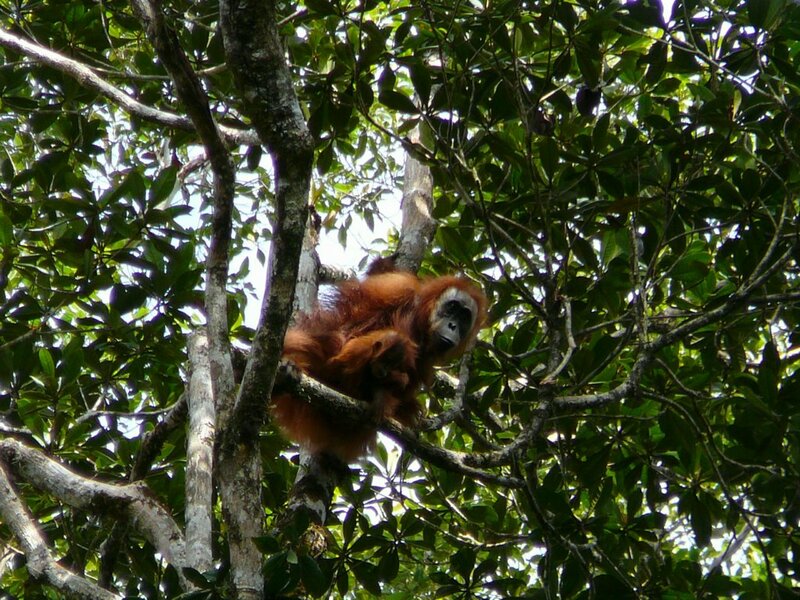 This project is conducted in collaboration with Gabriella Fredriksson of the Sumatran Orangutan Conservation Program. This forest block is home to the most southern orangutan population in Sumatra and was only rediscovered in 1997. The research area there is unique because it is the only orangutan study in the world that exclusively studies orangutans in a high altitude area. The area is rugged and covered in humid tropical rainforest. 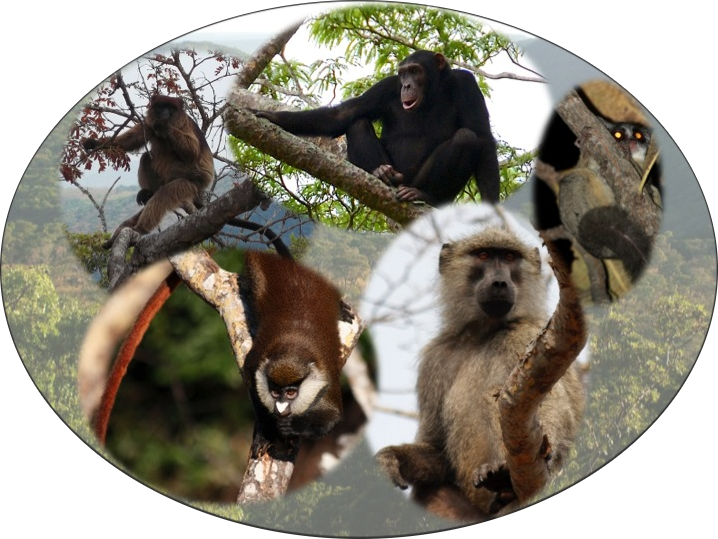 There are exciting opportunities to collaborate in the Ugalla Primate Project (UPP). Researchers from the Ugalla Primate Project focus on the behavioural adaptations of savanna-woodland dwelling primates in the miombo woodlands of the Ugalla region, western Tanzania. With less than 3% of the landscape comprised of evergreen forest, Ugalla represents one of the driest, most open and seasonal habitats where especially chimpanzees live, providing an ideal model for understanding how early humans themselves might have adapted to similar conditions. In addition to studying (to date, unhabituated) chimpanzees, UPP teams also follow a sympatric troop of red-tail monkeys and baboons, testing hypotheses about competition for scarce resources in a marginal habitat. Foci include diet and ranging behaviour, vocal communication and the sound environment, as well as employing new technologies to boost conservation efforts to protect an increasingly threatened landscape. UPP members have established and maintain numerous international collaborations and welcome volunteers, interns, and students to conduct independent studies on these and other questions concerning this magnificent ecosystem. There are opportunities within this project to analyse existing datasets on a range of fascinating topics, For more, see https://gmerc.org! What’s up, I want to subscribe for this website to take newest updates, so where can i do it please help out. Hi, on the ‘Home’ tab there is an option to enter your email address and then hit ‘Follow’. That will keep you posted on updates. I’m guessing this means that only graduates students and postgraduates are allowed? Yes, or people that can show that they have other qualifications. What are these “other qualifications” that you require? Can be many things. Just give me some more background about yourself and a cv so I can take a look. My biggest obstacle is that I’m still just an undergraduate student right now studying to receive a bachelor’s degree in Wildlife Management. When it comes to prior experience, I have been to Indonesia as a short term volunteer before where I worked in the Leuser Ecosystem. I mainly assisted in collecting orangutan samples and plants with medicinal quality while staying in a jungle camp for 5 days in the rainforest. There were other short term volunteers with me during my stay in Indonesia as well as long term volunteers (those who stay for 6 months). Though it seems that by the description of what you expect out of a student volunteer for this project, I simply don’t qualify due to my (as of now) somewhat limited experience and my status as an undergraduate. Though if I do have a chance, I would definitely like to take the opportunity. But thanks for the consideration anyways. Hello, I have sent you my CV a couple of days ago on my email account and I want to make sure that you have seen it. If not then I have sent you another reminder and I hope you have the time to look over it. Either way thanks for the opportunity. How are you. Please inform me your email. I need to discuss about termite as a food for orangutan in Sumatra.